This blog post is long overdue and in good timing, will be my fortieth blog post. 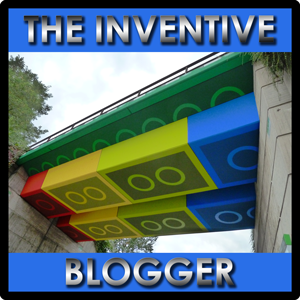 Two of my kind, fellow bloggers nominated me for The Inventive Blogger Award, which is very touching for this new blogger. I am thankful to http://alygeorges.wordpress.com/ and http://hunt4truth.wordpress.com/ for taking the time to read and write about my blog in their own blogs – thank you. Section 1: FIVE things I enjoy about blogging. 1. Blogging is better than journaling because not only do I get to type all about all the things that move me, I can also share those thoughts with other readers, too. 2. As a blogger, I am now a part of a great community of fellow bloggers/writers and I get to learn so much from them! 3. Blogging allows me to focus in on areas in my life I wish to celebrate and delve a little bit deeper into. 4. My first passion is writing and blogging allows me to memorialize my words. 5. Blogging is self publishing, so for those of us with no writing credits (yet! ), it is a great place to showcase our work. I chose the following two bloggers because their content is uplifting and worthy of having lots of readers following them. Thank you for your blogs and congratulations for your nominations for The Inventive Blogger Award! 6. And as a winner of the award – please add a link back to the blog that presented you with this award, and then proudly display the award on your blog.